While mould can appear in any room of your home, it’s usually a particular problem in bathrooms where it’s damp a lot of the time. It’s a good idea to keep on top of the mould problem, as if left unchecked it can lead to health problems like; allergic reactions and toxin related illnesses. If you have a really bad mould problem, a professional tile and grout cleaner should be contacted to help disperse the problem. Mould multiplies in damp, humid conditions and this is why it often becomes a problem in bathrooms. Luckily, if you follow the four easy steps below, it’s possible to tackle and keep mould at bay. Keep your bathroom as dry as possible. While this may sound ridiculous as it’s a place that water is used a lot, it’s imperative to take a few steps to dry it out after use. Keep a window slightly open if you have one or alternately use a fan. A de-humidifier will also work well, to pull moisture out of the air if you have access to one. Don’t leave wet towels in the bathroom. Leaving a wet towel hanging in the bathroom is a big source of moisture that could promote mould. Hang it outside if it’s warm or hang it in a more open space that isn’t a mould promoter. Allow air to circulate. Keeping the window open and keeping the door/cupboards open will help to keep air moving, drying out damp areas. 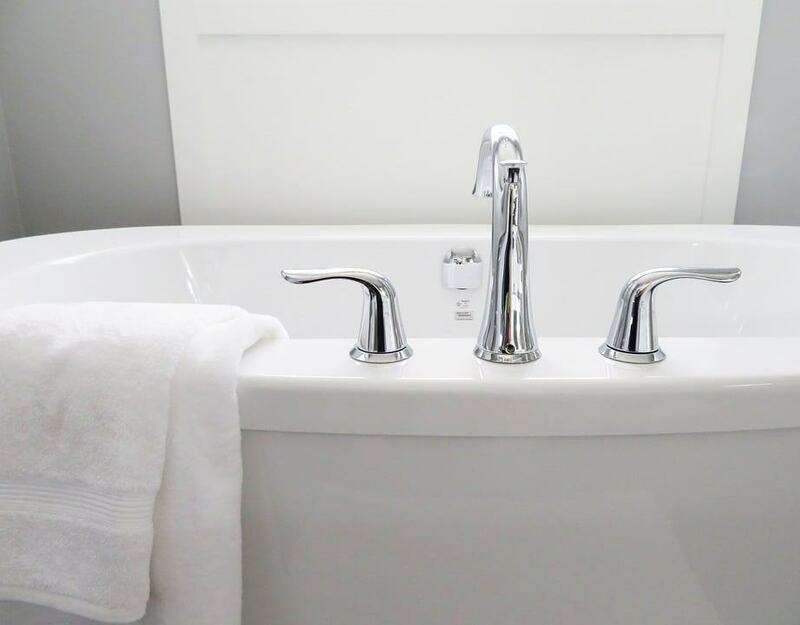 If your bathroom is small, keep it uncluttered to give space for air to flow. Regularly clean your bathroom surfaces. Tackling dirt and scum is mandatory to help keep mould at bay. Wipe surfaces over regularly with a good quality bathroom cleaning detergent and rinse off after. Hire a professional tile and grout cleaner if you don’t want to do the job yourself. If you’ve neglected your bathroom for a while and you notice a mould build up, there are a few ways to tackle this. Combine a ¼ cup of bleach with 2 cups of warm water in a spray bottle or bucket. Next you can spray or wipe it over the mouldy areas and scrub it clean. If any stubborn mould remains, you can apply the mixture again and leave on for around 15 minutes before you scrub off again. If you want a more natural remedy, vinegar can be sprayed onto the offending area and left for a few hours before scrubbing it off. Add a few drops of your favourite essential oil to mask the smell. Baking soda is also a great mould remover, best mixed with water or vinegar. It’s a great natural disinfectant and just needs to be left on the mouldy area for a while before being scrubbed off. If you still have a problem with mould and need someone to help you with the problem, hire a professional tile and grout cleaner in Perth.